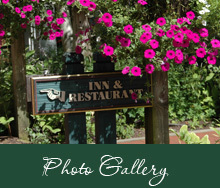 We are pleased to welcome you to the Artists Colony Inn in Nashville, Indiana. Please enjoy our website where you can make your overnight room accommodations online, or contact our event coordinator to plan your next banquet or seminar. Our 100 seat dining room serves breakfast, lunch and dinner inside by the fireplace or out on the front porch, depending on the season. Menus are available to preview online. 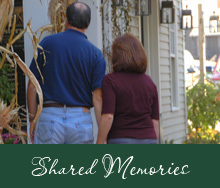 We look forward to your next visit to Brown County. Since the early 1900’s, Nashville and Brown County have flourished as an Art Colony. The Artists Colony Inn is located in the center of Nashville within walking distance of 200 shops and art galleries. The beautiful Brown County State Park is just a short drive down the road from our establishment. 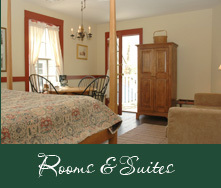 Relax in our quaint Inn where we combine the traditions of the past with all the amenities of the 21st Century. 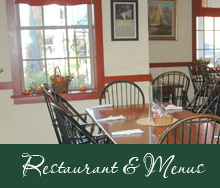 We are a small boutique hotel that offers a full service restaurant - breakfast, lunch and dinner. All overnight guests of the Inn enjoy our delicious, complimentary buffet breakfast each morning during their stay. We host corporate retreats for the business traveler, with dining, banquet, and meeting facilities available by reservation. $21.99 Adults/ $19.99 Seniors/$11.99 Children 5-12yrs. You will be attending a memorial for the Great Doctor of Podiatry, Scholl E. Crocs. The memorial is over shadowed by a missing body and motive for murder. You will have the pleasure of meeting the family of the suspects and mourn with them at this very unusual funeral that proves to be a design of inevitable mindless comedy. Reservations are required and can be made by calling 812-988-0600. Tickets are $50.00 per person and non-refundable.